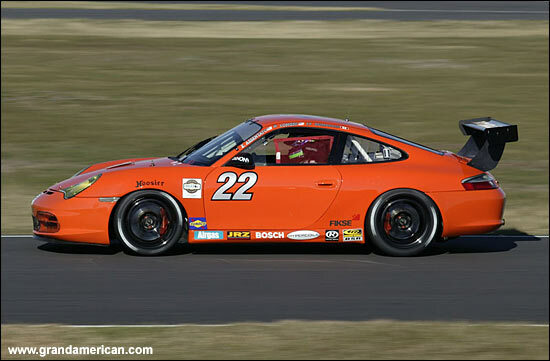 ”Grand Am had incorrectly listed the drivers on our #22 Fiorano Racing / FX Direct Dealer / Hazardous Sports Porsche 996 GT3 Cup team (at the test days),” explains Nick Longhi. So that’s cleared up that confusion. Lonnie Pechnik raced in the Rolex 24 last year, when Flying Lizards did enter the race. “The remaining drivers in our Porsche are '04 Rolex 24 SGS class winner Jean-Francois Dumoulin, Automatic Racing team owner Jep Thornton, my usual team mate '05 Rolex 24 GT class runner-up Emil Assentato, and myself (also '05 Rolex 24 GT class runner-up),” continues Nick Longhi. The Fiorano Racing team is run by ex-F1 mechanic Gianni Panico (ex '04 Rolex 24 SGS class winners Doncaster Racing). So here’s a team that isn’t going for the fastest times in testing, qualifying or the race, but they’ve obviously got a very clear plan mapped out for the Rolex 24 in just over two weeks’ time.